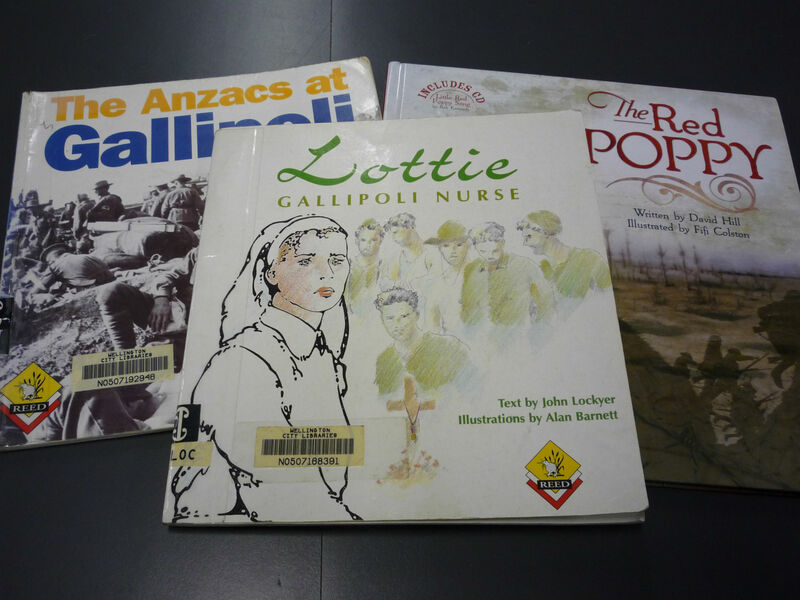 We are delighted to advise that the three volumes of the Trail of Light have been digitised and are now accessible. This has been a joint project with The Landmarks Project Celebrating Women Trust and Zonta Wellington. The Trail of Light series is currently housed in the Wellington Cathedral of St Paul and features short biographical profiles of 80 New Zealand women which celebrates their social, economic, or cultural contribution to Aotearoa New Zealand. The ‘Trail’ places on record women who have made a tangible difference to the status and well-being of women in New Zealand. They have given outstanding service to others, some have inspired through their vision and courage, and some have worked quietly and effectively without public recognition. 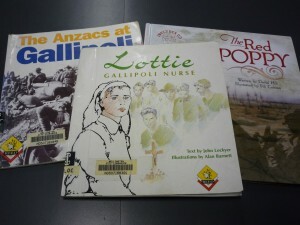 The original printed volumes were a direct outcome of the successful Suffrage Centennial Year celebrations, 1991 — 1994. They were compiled and written by Barbara Mabbett, while the book design, and artwork of the accompanying mural (illustrating this post) were accomplished by Rhondda Greig. •the first book records the biographical summaries of the women selected for the ‘Trail of Light’ of the original fifty women. •the third book, called ‘Trail of Light Continues’ contains biographical summaries of 30 additional women. In 1912, Lord Liverpool became governor of New Zealand. Alongside him, stood his wife, Annette Louise Foljambe, Countess of Liverpool. 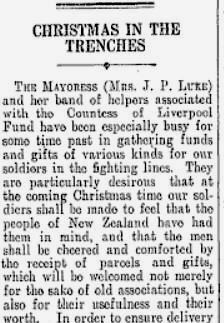 As soon as the War started in 1914, Lady Liverpool became an active supporter and fundraiser for the New Zealand troops sent to fight overseas. Her Excellency’s knitting book , compiled under the personal supervision of Her Excellency the Countess of Liverpool was published in 1915. 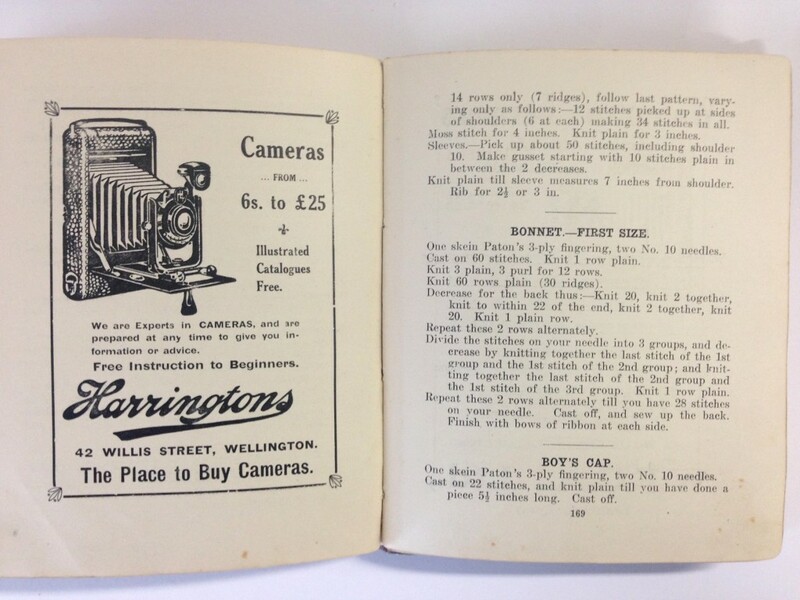 It was intended to encourage the women of New Zealand, as well as children (boys and girls! 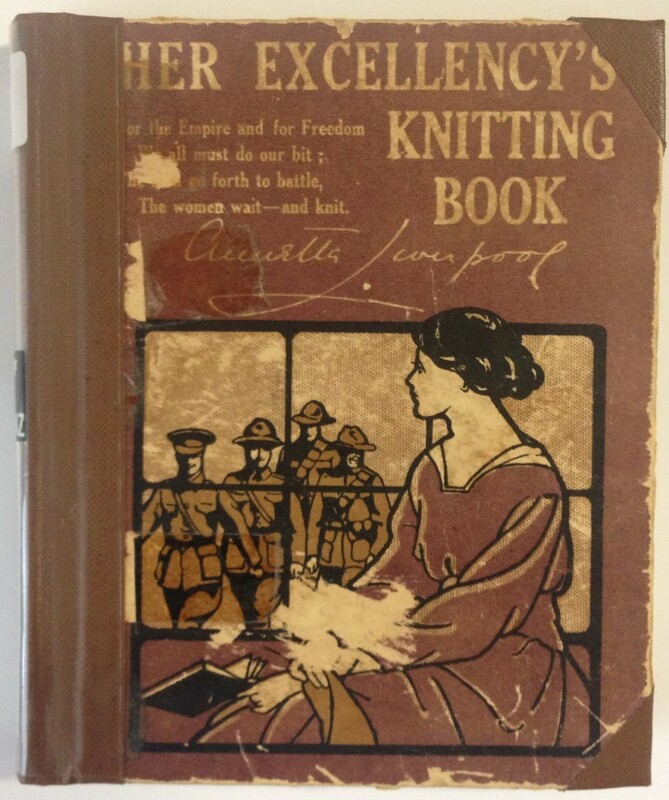 ), to take up knitting as a valuable skill and turn it into a mass war effort by crafting useful items that would be sent to soldiers fighting for the Empire. Socks in particular were in high demand, a pair only lasting a couple of weeks. 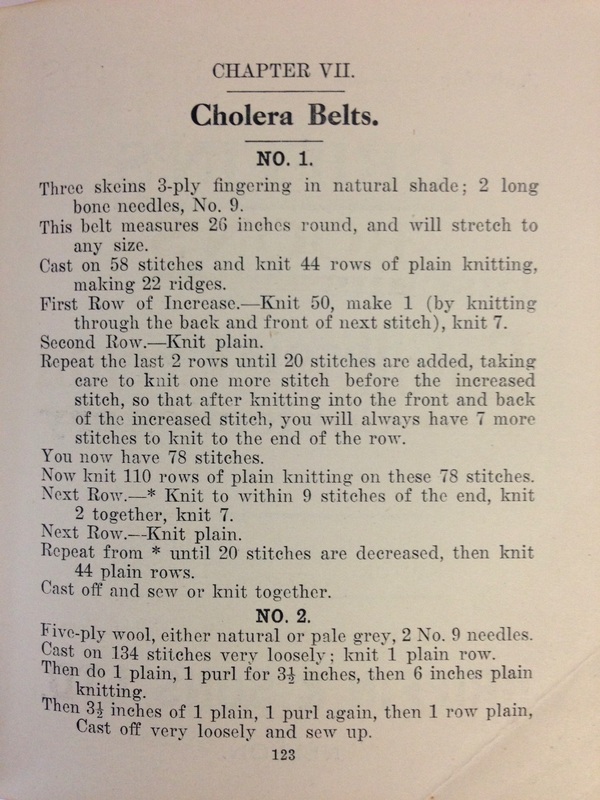 Often, the knitter would add a little hand-sewn personal note inside the garment for its recipient. 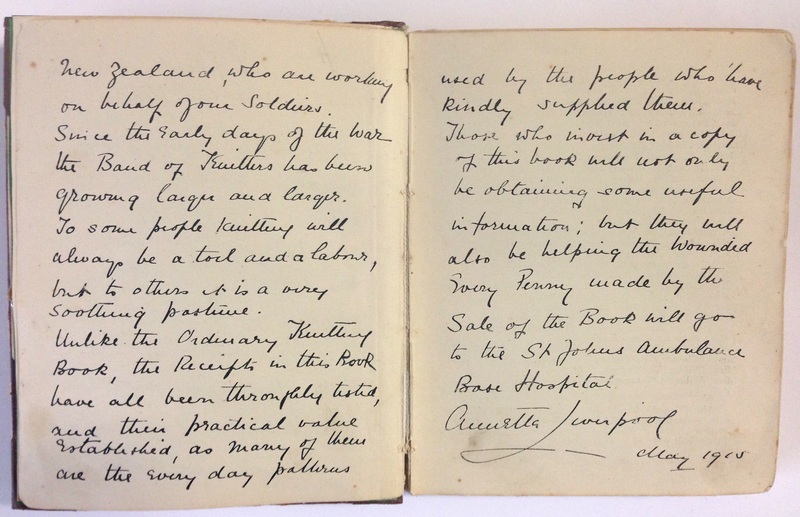 The initiative became hugely popular and contributed to making soldiers feel that they weren’t forgotten back home. 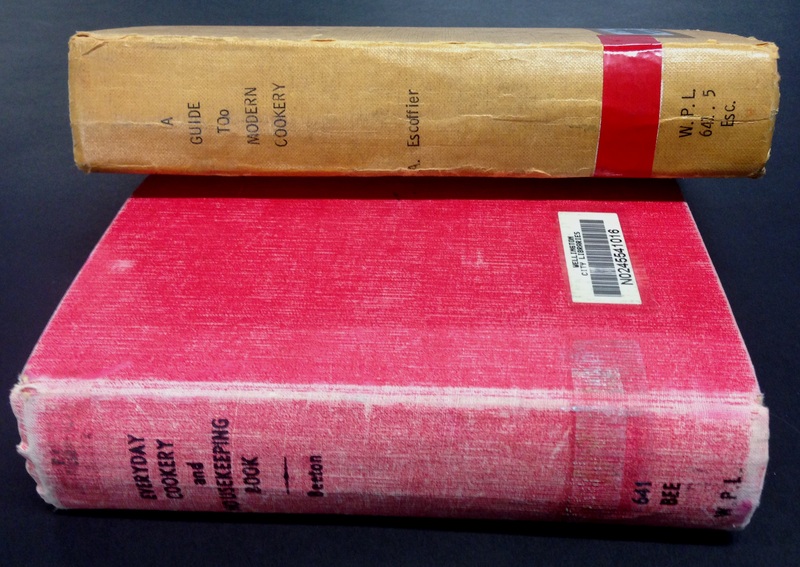 One of these little books has been a treasure in our Rare Books room at the Central Library. 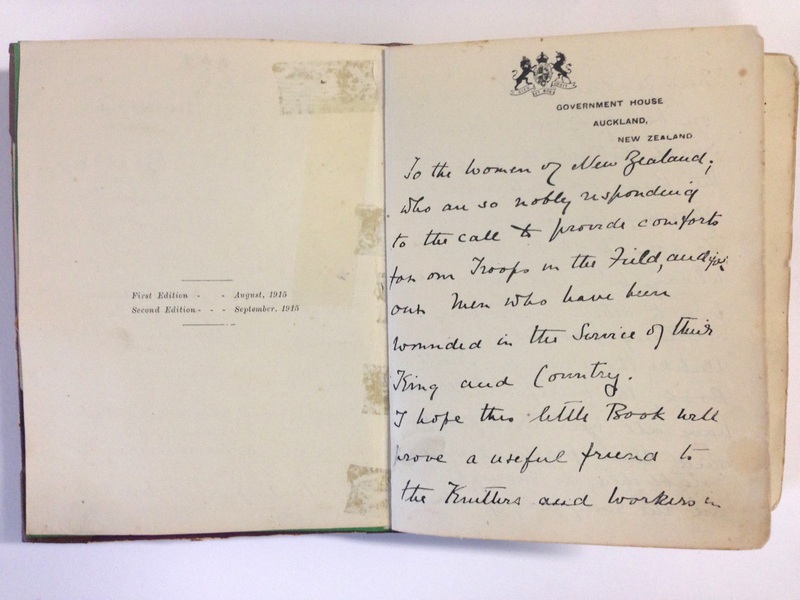 It contains a hand-written introduction by Lady Liverpool herself, encouraging “the women of New Zealand” to take their part in the war effort by using the patterns in the book to produce some much needed comfort for the troops. One of the most likely sources of the time for recipes of plum pudding would have been Mrs Beeton’s Every-day Cookery and Housekeeping Book as suggested in A Distant Feast : the origins of New Zealand’s cuisine by Tony Simpson (recipe p. 66). 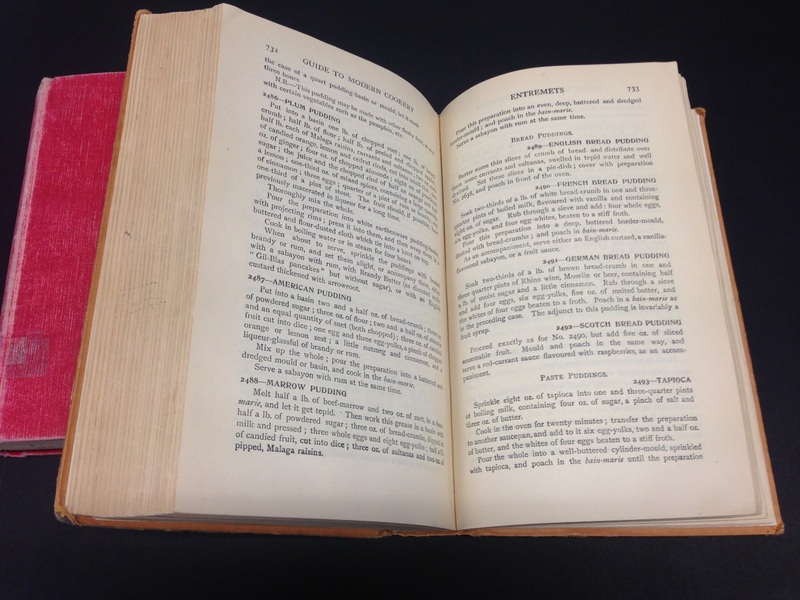 Here are images of our own original copy of Mrs Beeton’s 1893 edition, available from our stacks on the second floor of the central library. It includes several versions of the Plum Pudding recipe (p. 379-381, pictured). Mrs Beeton was an incredibly popular influence in the kitchens of the time and has remained a seminal influence in the art of cookery, as our collection bears testimony. However, “her reputation as an innovator is unjustified“, according to Tony Simpson, author of A Distant Feast, who believes that Eliza Action should have claimed the title. And indeed, Simon Hopkinson’s (British former chef and critic, considered to be one of the best cookery writers) quote on the cover of Eliza Acton’s Modern Cookery for private Families stands as more than a stamp of approval: “The Author’s Christmas Pudding is as perfect as any festive pudding can be. I would not cook, nor eat I wish to eat, any other than Acton’s.” You will find her recipe p. 416 of this edition. To read more about Eliza Acton refer to The real Mrs Beeton : the story of Eliza Acton by Sheila M. Hardy with foreword by Delia Smith. For her own recipes, read Modern Cookery for private families : reduced to a system of easy practice in a series of carefully tested receipts in which the principles of Baron Liebig and other eminent writers have been as much as possible applied and explained with an introduction by Jill Norman. And finally, another source of recipes that has withstood the test of time is Auguste Escoffier’s A Guide to Modern Cookery. 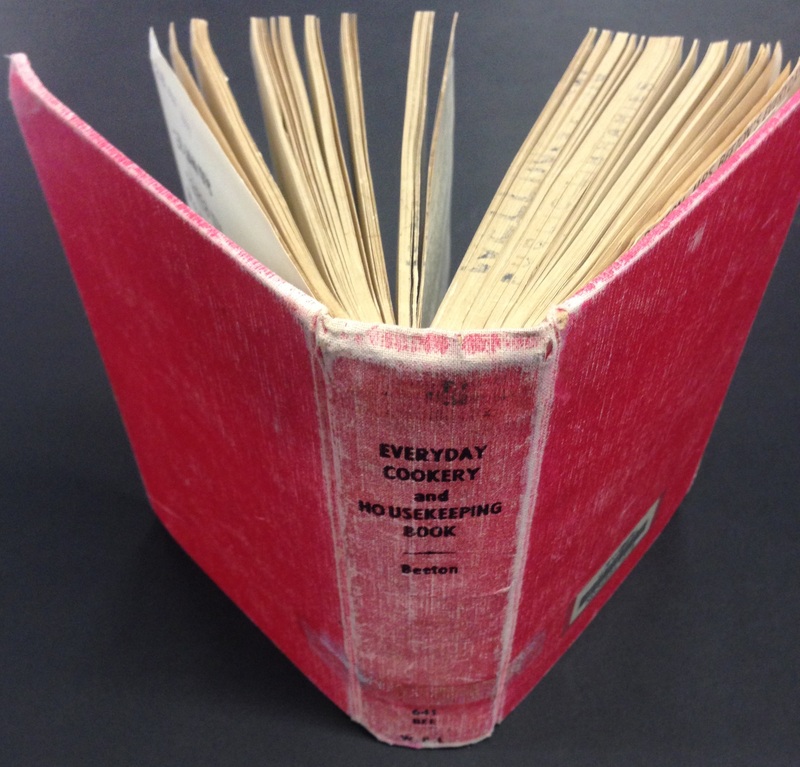 Published in English in 1907, it became a Bible for many generations of chefs and amateurs cooks. Hailed as one of the greatest chefs and food writers of all times, Escoffier redefined French cuisine and propelled it into the 20th Century, influencing cookery internationally. 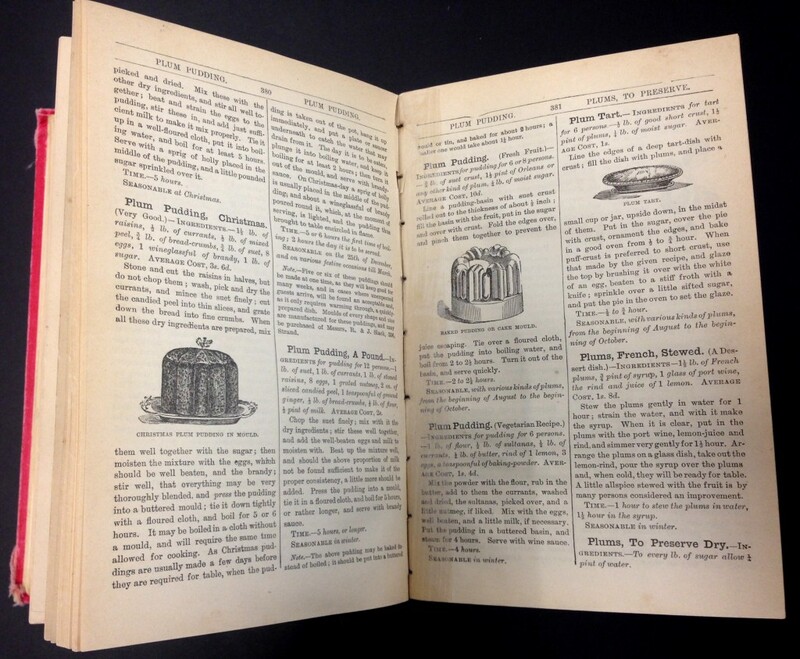 Here is a photo of the 1951 reprint we hold in the stacks with Escoffier’s version of the very British Plum Pudding. For more contemporary publications regarding “The King of Chefs and the Chef of Kings”, Escoffier’s nickname, check our catalogue here. 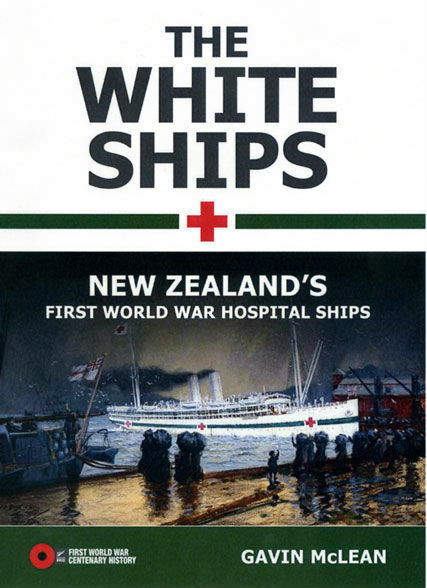 A very interesting documentary about Lady Liverpool and her war efforts, screened on TV3 News last August can be watched on this New Zealand History page with an accompanying article. And for the francophiles out there, a recent episode of the highly entertaining food programme “On va déguster” produced by the French national radio station France Inter has a very informative piece on Auguste Escoffier. You can read and listen here! Bon Appétit et Joyeux Noël! Unfortunately Rachel’s lunchtime performance today at the Museum of Wellington City and Sea has had to be cancelled. We hope Rachel will be able to reschedule at a later date and will keep you posted as and when we hear more. New Zealand singer and songwriter Rachel Dawick is back in Wellington on the second stage of her ‘Follow My Tears’ tour, and will give a free performance celebrating the lives of women in 1800s New Zealand this Friday at the Museum of Wellington City and Sea. Rachel visited Wellington City Libraries back in May and gave us two beautiful performances, capturing women’s stories with “a slice of folk, a dash of blues and a bit of country with a twist”. This time Rachel is collecting stories of women’s lives from 1893 to WWII as she cycles(!) through New Zealand and raises funds for Christchurch Women’s Refuge along the way. Come to the Museum of Wellington City and Sea, 12.30pm Friday 11 November, to hear Rachel and maybe bring along a story or two of your own. Entry is free. For 60 days Rachel will be touring New Zealand performing and collecting stories of New Zealand women in the 1800s on her journey. Want to have a listen before the event? Check out Rachel’s previous albums in our catalogue. Supported by Creative NZ, Wellington City Libraries, The Interislander Ferry and Radio New Zealand. 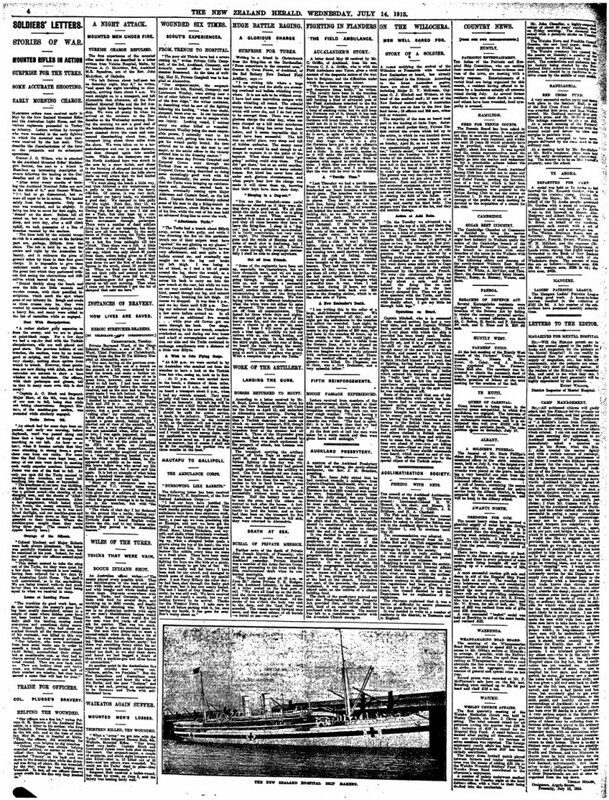 Do you have stories of women in your family who lived in New Zealand in the 1800’s? If so, we want to hear from you! 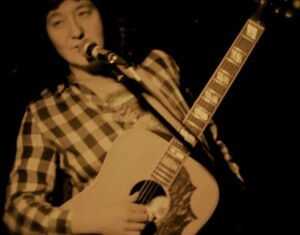 New Zealand singer-songwriter Rachel Dawick is collecting stories from all over New Zealand, which will then be used to create a new album of songs and a national resource for libraries. with ‘Rachel Dawick Stories’ in the subject line. Please note that stories provided to us are unable to be returned. From 14 April – 14 June, Rachel will also be travelling throughout New Zealand, performing in local libraries, while she collects the stories. 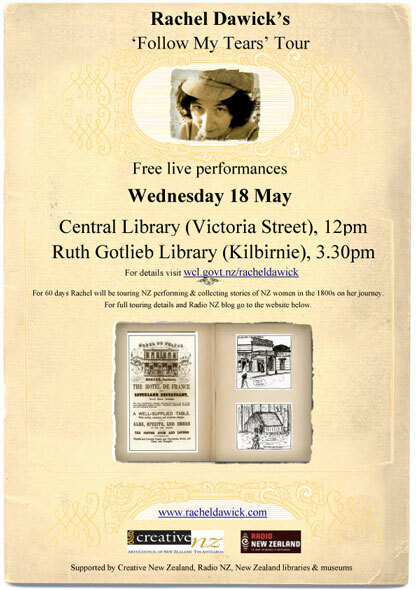 You will get your chance to see Rachel perform in Wellington when she will be giving two free live performances on Wednesday 18 May at Central Library (12-1pm) and Ruth Gotlieb Library, Kilbirnie (3.30-4.30pm). Want to have a listen before the event? Check out Rachel’s previous albums on our catalogue, or listen to an interview with her via RadioNZ.